$188.1 billion, according to Wealthy historical figures 2008, based on information from Forbes – February 2008. 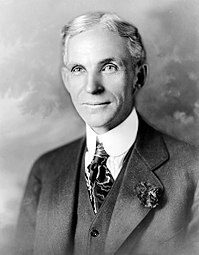 Henry Ford (30 July 1863 - 7 April 1947) ek American engineer aur businessman rahaa. Uu 1896 me motar banae ke suruu karis aur Ford Motor Company ke suruu karis rahaa. Ii panna ke 6 April 2015, ke 14:08 baje, pichhla time badla gais rahaa.